MICHAEL R. URMAN is a Shareholder in the Tucson office. He maintains a general civil practice including representation of financial institutions, including foreclosures, receiverships and pursuit of other remedies in lending contexts; all aspects of real estate acquisition, financing, development and management; general business and corporate representation, including negotiation and documentation of workouts of troubled loan arrangements; mining and natural resource acquisition, financing and development; and representation in environmental matters. 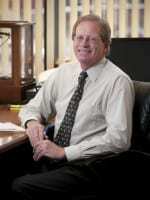 Mr. Urman has practiced with the Firm since 1983 and has been a Shareholder since 1988. He graduated with highest distinction from the University of Arizona College of Law in 1982 where he was a member of Order of the Coif and editor-in-chief of the Arizona Law Review as well as the outstanding gradu­ating senior in his law class. Prior to attending law school, he graduated with highest distinction from the University of Arizona College of Education with a degree in Secondary Education. He served as Research Analyst/Legislative Aide to the House Education Committee, Arizona State Legislature during the 1978 regular session. Mr. Urman was Law Clerk to the Honorable William P. Copple, District Judge for the U.S. District Court, District of Arizona in 1982-1983, and has been a member of the State Bar of Arizona since 1982. He has also been licensed to practice in Colorado since 1993. He is a past President and State Board Chairman of the Arizona Historical Society and presently serves on the Board of Directors of Patronato San Xavier, where he is the current Vice President and Chair of the Finance Committee. Mr. Urman is a former President of the Tucson Community School and was a long-time member of the board of directors of the Arizona Kidney Foundation, where he was State Chairman in 1997-1998. He is also a former President of the Arizona Historical Society’s Southern Arizona Division.